Love your decorations! And I can’t imagine no one would want cemetery views…..
You could leave surprises in the drawers in case anyone looks….. I loved that episode! That show is so so funny. 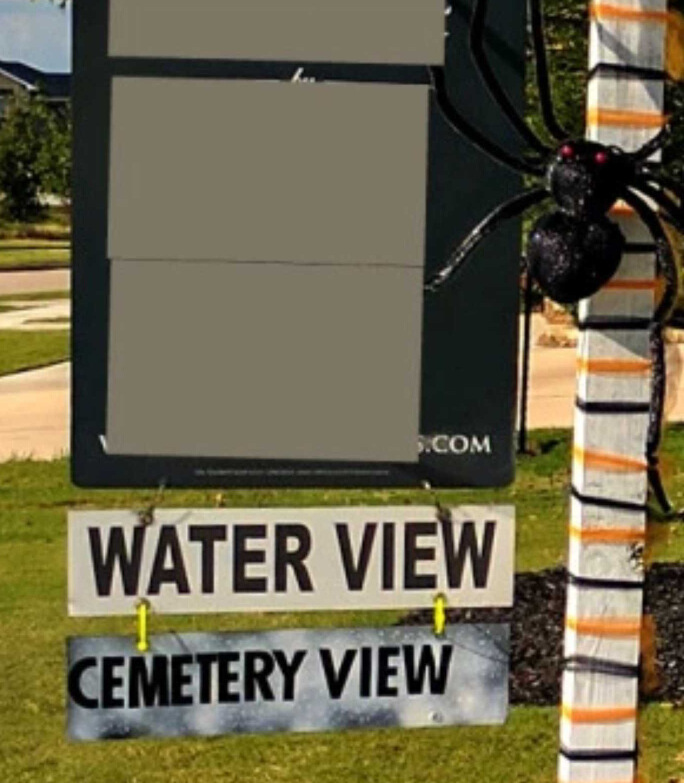 No serious buyer would be ran off by a spider or skeleton here or there. And, hopefully you will be sold by Christmas, but if not, decorated to your hearts content! So glad you found your “MoJo” again! You do what feels right for you and yours! Thank you Jodi! You know that I can’t my wild child under wraps! I miss you lovebug!!! She is bootiful and so is her Momma. Great post. Live Love Laugh exponentially! Do life your way! You are so right about living life our way. It seems so obvious, so I can’t figure out why I keep fighting it! Fabulous pictures, over here across the pond we gather 🙂 Halloween for Americans is a very VERY big event in their calendar (English press have been showing some of the more outrageous, a funny one involving Police a garage door and a trapped bloody dummy cut in half!!) The bed anecdote is so funny and ‘frigging’ bad manners! I always forget that Halloween is an American thing. One of my former neighbors was from the UK, and he was ridiculously excited about Halloween whenever it rolled around. It was so fun watching him get into the whole thing, too. It’s a really weird holiday, but it’s funny to see what some people do. Boy do I know what you are going through. I had my house in NC on market for years…long story. Switched it to another realtor and she sold it in 3 months. Most realtors will say depersonalize it, decorations no-no, and on and on. She said nope keep it clean and picked up and it is my job to sell it. You need to live in your home. I found I got to relax about the house, enjoyed it and wham someone drove by and said have to see it. Sold. By the way your decorations are fabulous and if someone had kids it says I am a kid friendly house. Good thing! Buy me.